The clown princes of the dog world, Boxers can be very funny with their silly antics. Make no mistake about it, behind that clownish façade is a very powerful dog capable of bringing down prey bigger than they are! The Boxer is the result of mixing two old ancient dogs together. Both extinct, the Old English Bulldog and the Bullenbeiser live on through the Boxers we know of today. They were initially bred to hold down large prey which explains their muscular physique and strong bite. The Boxer takes on the brachycephalic traits of its ancestors. Boxers come in many different hues ranging from fawn, brindle and even white! So you have a huge palette of colours to choose from! They are very muscular and very squared off. They have large heads with powerful jaws and this is evident even as young puppies. 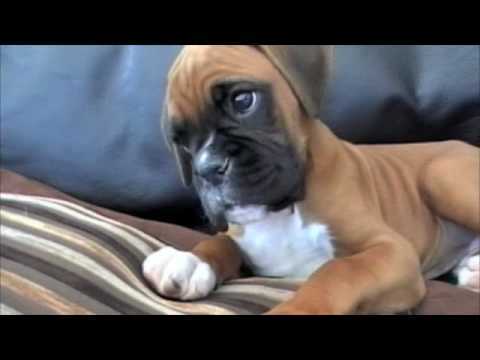 Boxers never seem to outgrow their puppy stage. They continue to be rambunctious and playful all throughout their lives. 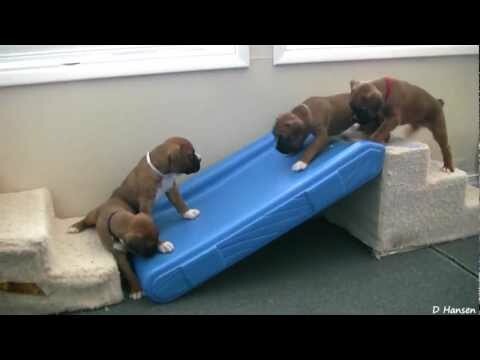 Boxer puppies will attempt to dominate you but it can easily be trained out. Once properly socialized, these puppies turn out to be great additions to the family! One endearing quality about these boxers is their tendency to sulk around if they feel that they’ve been admonished. They will slink around and try to hide behind furniture smaller than they are which is quite funny to see! How can you stay mad at this dog? The boxer has many health issues from heart conditions, cardiovascular issues and even cancer! But, if you take really good care of your boxer pup, there’s a good chance that they won’t develop any of these complications. A strict diet should be implemented to ensure that they only eat what’s good for them. They are also quite prone to obesity so feed your puppy the right amount of food to avoid getting fat. 2 Boxer puppies for sale near you. The Boxer was developed in Germany in the 19th century the intimates were two German mastiff brand dogs. The Boxer is recognized for the method it uses its front legs to hit it`s challenger, appearing to be boxing with the front paws. Some of the Boxer's talents are supervisory body, guarding, police work also, military work. The body of e Boxer is solid and influential. The head is in proporced with the Boxer`s body. The muzzle is dumpy and dulled with a discrete stop. The Boxer`s nose is big and black . Boxer has eyes dark and brown eyes. Cropped ears are taught to stand up on the head. The neck of a Boxer is supposed to be round, muscular, and without dewlap. The strong front legs are straight when viewed from the front. The back legs have strong musles. Boxer`s tail is usually set up high. The Boxer is glad, cheerful, good-humored, inquisitive and lively. These dogs are highly clever, keen and speedy to educate. 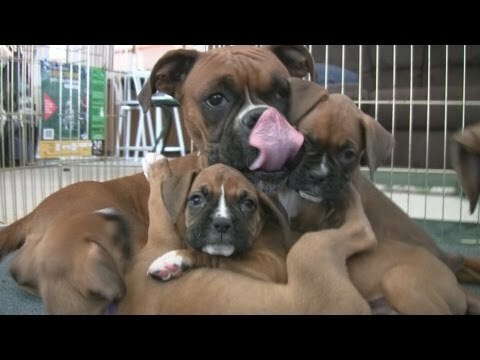 Reliable and loving, Boxers are known for the manner they get along so fine with kids. A correctly socialized Boxer will also get along with his own type and other family pets like cats. This is a nice way to make your life easier and save time searching for your Boxer dog’s puppy for sale. Once your email alert is put in place, all you have to do is check your emails regularly! You can create several email alerts, should you wish to do so.